HMH Books for Young Readers, 9780547550114, 384pp. 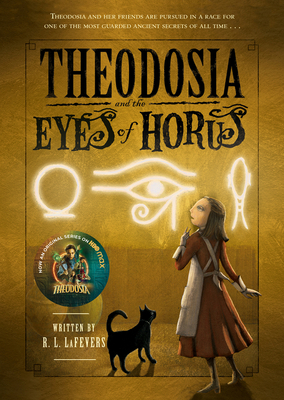 Being able to detect black magic isn’t all tea and crumpets—and for Theodosia Throckmorton, it can be a decidedly tricky business! When Sticky Will drags Theo to a magic show featuring the Great Awi Bubu, she quickly senses there is more to the magician than he lets on, setting in motion a chain of events she never could have bargained for. Meanwhile, back at the Museum of Legends and Antiquities, Henry is home for the spring holidays and makes an accidental discovery of an artifact that alchemists have been hunting for centuries. Soon, every black-cloaked occultist in London is trying to get their hands on it . . .